In March 1279, the queen has just given birth at Woodstock Manor, while Prioress Eleanor prays beside her father whose illness defeats even Sister Anne’s talents. Richard, her nephew, anticipates the arrival of his own father, a man he hardly knows, and dreads divulging a secret that will set them further apart. Brother Thomas, coming to comfort the Wynethorpe family, discovers that Father Eliduc, his nemesis, has a troubling hold over young Richard. Elsewhere in England, hundreds of Jewish families also mourn, their loved ones accused of money clipping and hanged with little concern for truth. With their property looted and confiscated to enrich King Edward, poverty sharpens the agony of their loss. Violence always begets violence. Death wields his scythe with abandon. One of the queen’s ladies is found hanged. The first accused is Richard. Or might it be the Jewish grandmother who came with her orphaned grandchildren to beg mercy from the queen? Or was it the one thought to be the dead woman’s lover, a man who is also the woman’s brother-in-law? Once again, Prioress Eleanor and Brother Thomas are drawn into foul murder, even as they must endure their own sorrows. 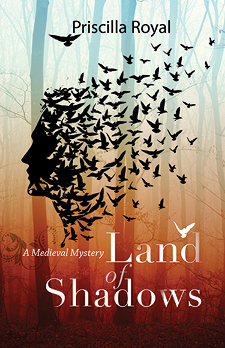 ""Royal matches a clever story line with intelligent characterizations, while providing a disturbing look at anti-Semitism in 13th century England."